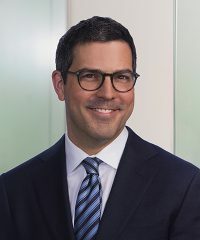 Eric Y. Rogoff, Partner, joined Falcon at its inception. Mr. Rogoff was previously an Executive Director in the Leverage Finance/Merchant Banking Group of CIBC World Markets Corp. Prior affiliations include The Argosy Group L.P., an investment banking boutique, and Kidder Peabody & Co. Mr. Rogoff has served on the Board of Directors of numerous companies, including current portfolio companies FastMed Urgent Care, Ontario Drive & Gear Limited, and Soleo Health (formerly Allion Healthcare). He received a B.B.A. from the University of Michigan School of Business Administration.